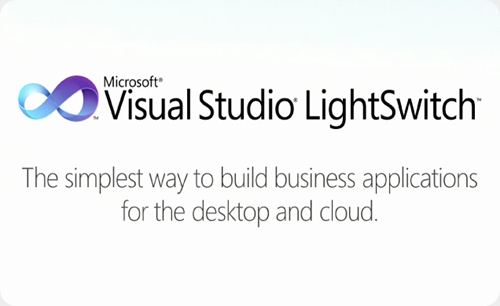 As you may know, Visual Studio LightSwitch 2011 is Launching on July 26. Price are insane, but you can do the effort…. Earlier this month I did a talk on Visual Studio LightSwitch at the DevTeach conference in Montreal. How to deploy your LightSwitch app to Azure? How do I videos ? I am really happy that I’ve just been selected to speak at DevTeach Montreal 2011 (may 30 – june 03, include pre and post-conference). Build amazing and robust data-driven Silverlight Application with Visual Studio LightSwitch. This newcomer in the Visual Studio suite allows you to create business applications with little to no code. But I will show you in a technical demo how to customize and extend its capabilities. Wow effect guaranteed! Architects and developers welcome! I’m truly happy to see DevTeach coming back to Montreal, and I really look forward to it, as a speaker nothing come close to DevTeach in Canada. A quick talk on SQL Server Compact Edition 4 first, then I did a huge demo on Visual Studio LightSwitch. Today I did a presentation on Visual Studio LightSwitch at TechDays Montreal. My goal was to introduce this new tool and show how it can help you create business applications for the desktop or the cloud. It was great and I hope people liked it. Note that I’ll do another LightSwitch presentation on April 18 at the Montreal .NET Community. * Thanks to Orville McDonald for the slides!